In a successful nine year career, Tom Kitching has worked with numerous singers and bands, including Pilgrims’ Way, Gavin Davenport, Jon Loomes, Gren Bartley, and Albireo. He has tutored at Folkworks Summer Schools, and has lead numerous workshops around the country. Heavily involved in the dance scene, and veteran of over a thousand gigs, he stands at the leading edge of the English folk scene. His style is English at heart, whilst encompassing elements of many other traditions. It is a unique, vibrant style full of exuberance, energy and wit, yet capable of expressing extraordinary emotional depth. In March 2015, he released his solo album, ‘Interloper’, a deeply personal project to capture the state of the English instrumental tradition and define the role of the fiddle within it. 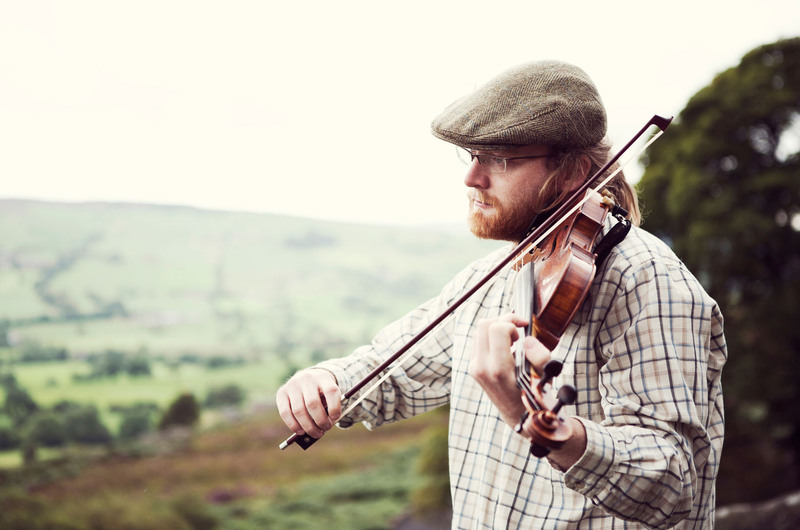 Tom is also a much in demand fiddle teacher in the North West of England. Feel free to drop Tom a line. He’s very friendly! You can be his friend on facebook too.